Release Date:11/17/2017;Notes:Vinyl LP pressing. 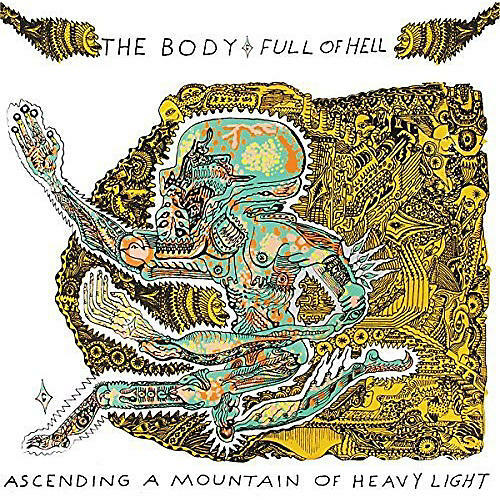 The Body and Full of Hell are both unique and influential forces in heavy music. Both artists welcome challenges and eschew self-promotion. Each artist seems driven to take risks and push boundaries of what is considered heavy. A clear example being that on recent tours The Body have performed without any live guitar or drums. Both artists enjoy the creative growth and music and good times that come out of collaborations. Each has collaborated often with other unique but like-minded musicians such as Thou, The Haxan Cloak, Krieg, Merzbow, The Bug and the list goes on. Despite their obvious differences in songwriting, The Body and Full of Hell are unified by their shared aesthetic, catharsis through the manipulation of emotions transformed by visceral noise and fueled by an inescapable sense of dread. They have returned to collaborate again not because of their commonalities but because of their differences and what those differences yield in performance. With Ascending a Mountain of Heavy Light, The Body & Full Of Hell have integrated a love for electronic noisescapes with abrasive, precise sonic assaults into a sound unlike anything either has produced before.